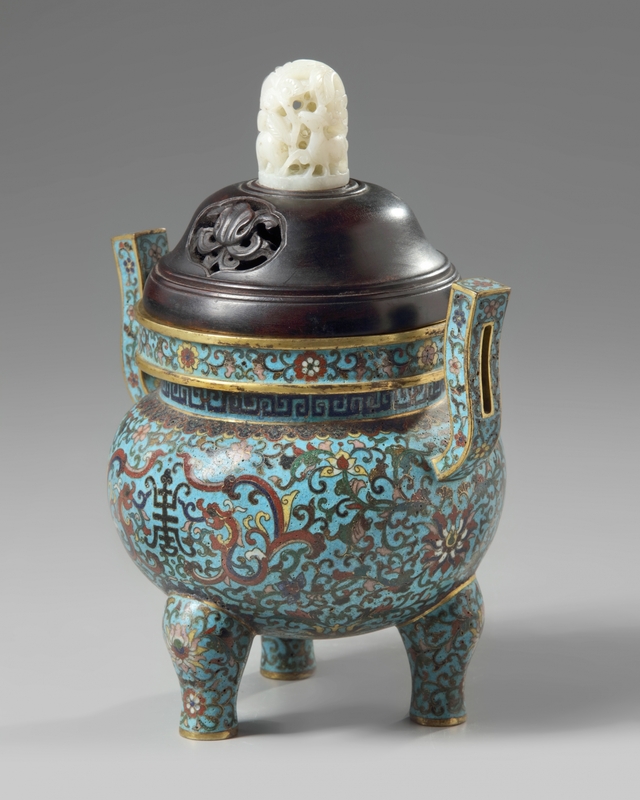 The censer is decorated to the body with two upright handles and a shou character in archaic script flanked by two kui dragons on a ground of scrolling lotus. 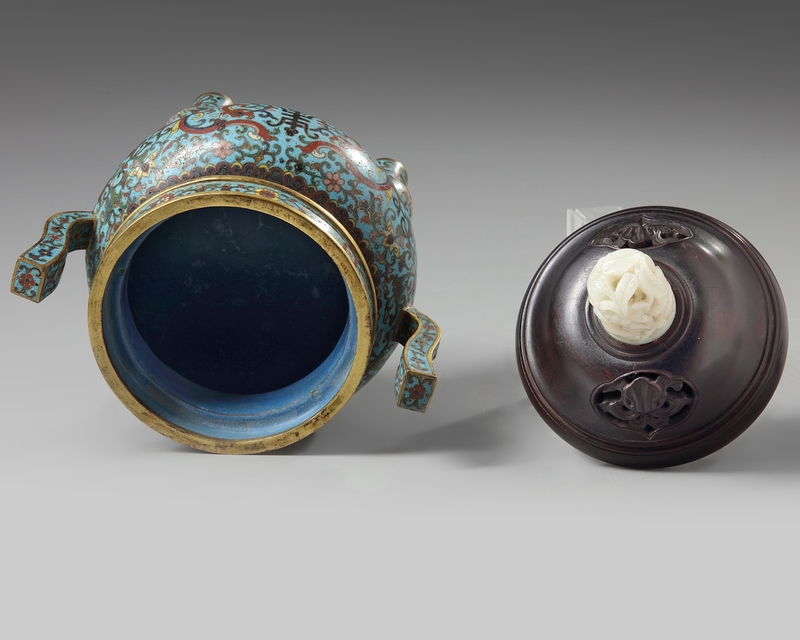 The neck is decorated with a ruyi-head and keyfret band, and the rim is decorated with a flower band. 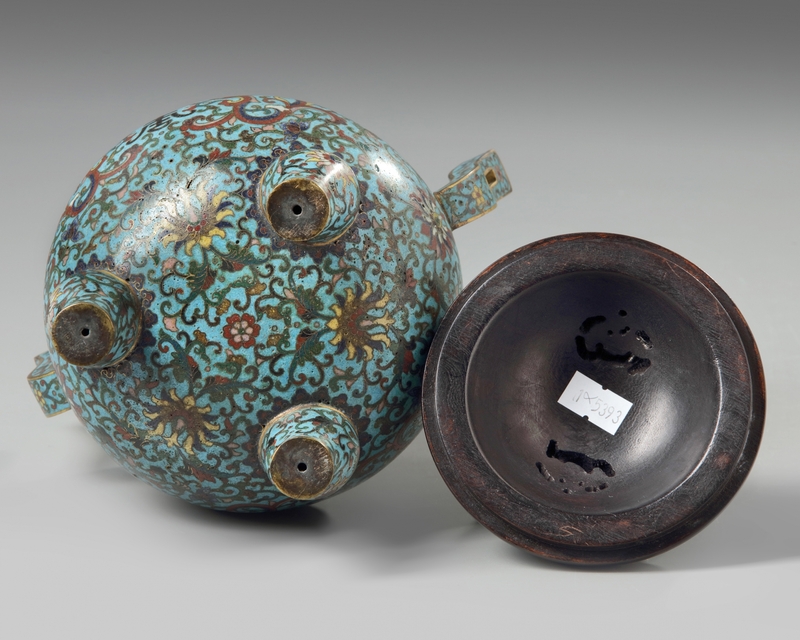 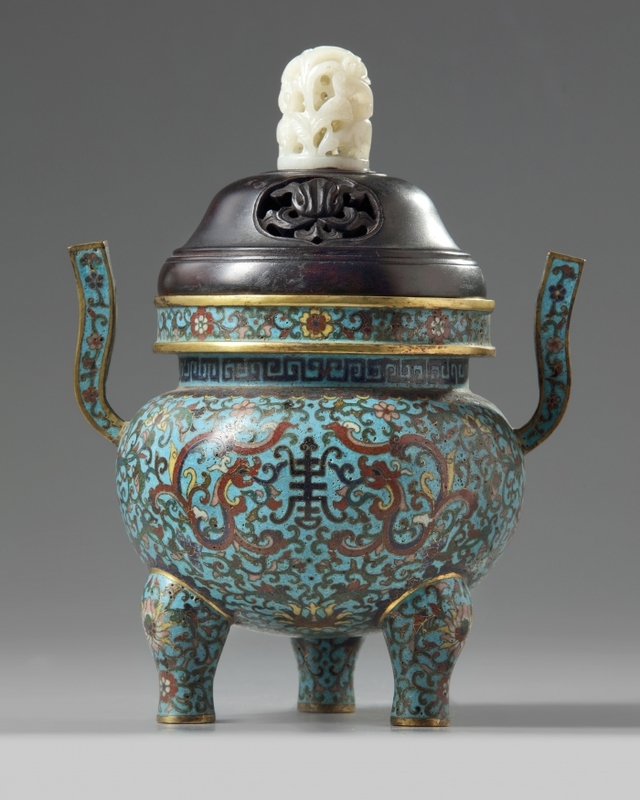 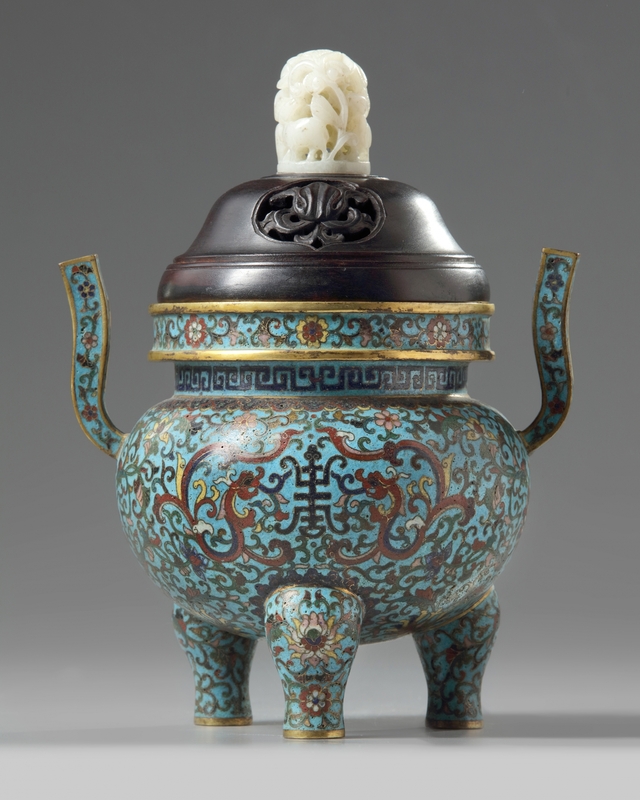 The wood cover is carved with pierced decoration and is surmounted by a white jade finial.